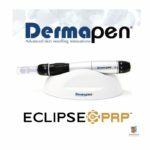 Dermapen is considered the latest and cutting-edge micro-needling system for skin rejuvenation, reduction of fine lines and wrinkles and improvement in abnormal pigmentation. Most importantly, we like to use it on our patients with acne scars. Dr. Michael L. Thornton, a double-board certified Cosmetic Surgeon, and his team of Aestheticians exclusively use the Eclipse PRP® proprietary system that prepares and separates your blood into optimized and high-concentrated platelet-rich plasma (PRP) using a unique blood and plasma separation gel and process to provide Dermapen PRP Facials, PRP Hair Restoration, and PRP Facial Volumization for men and women. 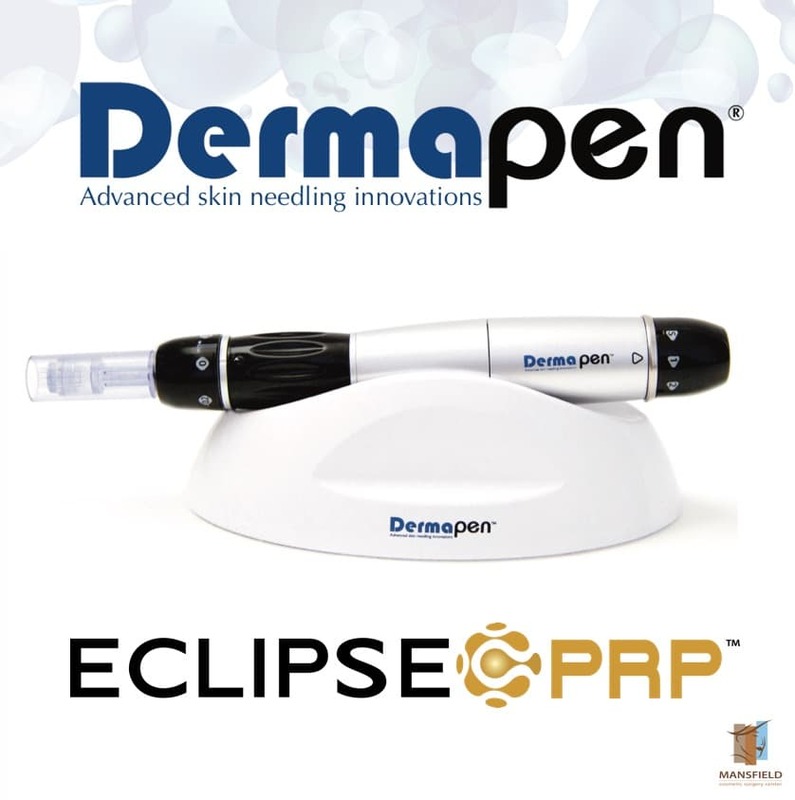 Dermapen is a unique hand-held device that uses a vibrating stamp-like motion to create tiny micro-needle holes in your skin, thereby naturally stimulating the production of collagen. One advantage the Dermapen has over other skin resurfacing procedures is by acting as a “dermal infusion device”. We use it to deliver topically applied platelet rich plasma or PRP directly into your skin through the micro channels created by the needles. Platelet rich plasma is obtained by separating your own blood using a centrifuge. Platelet rich plasma contains growth factors that accelerate the healing process and promote collagen development. The Dermapen PRP treatment is an in-office procedure that takes 30 minutes to complete due to the preparation and application of platelet rich plasma. Dermapen with platelet rich plasma for patients in Mansfield, Arlington, Dallas, and Fort Worth are available at Mansfield Cosmetic Surgery Center. To make an appointment please call us at 817-477-9000 or contact us.